Actually there are three possible sources of the death and devastation so pointedly predicted by Scripture. First, it could be that the great and terrible destructions predicted will be brought about supernaturally by God Himself without any other possible explanation. Until the nuclear age this was the primary view, as it was hard to see how such a scenario could be brought about by natural human means. 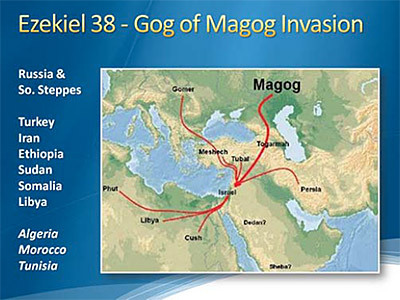 In the Old Testament we find God killing 185,000 of Israel’s enemies by one angel, without any natural explanation. If one angel can wipe out that many people, it should not be too much trouble for all the hosts of God’s angelic armies to destroy three quarters of the earth’s population. Secondly, some of the judgments predicted could possibly come from the cosmic disturbances created by a comet whose path leads it uncomfortably close to the earth. Global earthquakes and tidal waves, resulting in famines on an unprecedented scale would almost certainly be the result. Some, but probably not all, of these judgments could be brought about this way. The third, and in my mind, the most likely explanation for the terrible judgments which will empty the earth, has to do with nuclear weapons. Since the end of World War II, nuclear weapons have been proliferating all over the globe. At first limited to the United States, then produced by the Soviet Union, they are now in the hands of all sorts of second and third rate powers. It seems almost every year that new nations are added to the list of those countries with nuclear capabilities. Our capacity to destroy all life on earth has multiplied many times over. The fact that we have not yet seen a nuclear war since 1945 can be attributed only to the restraining hand of Almighty God! Surely it is His hand that has prevented us from destroying one another up until this point. How long that hand will continue to restrain us, only God knows. It should be evident that what we are talking about is a weapon unparalleled in human history; a weapon with the capacity to obliterate huge cities in seconds. This is a scenario that perfectly fits with the kind of swift, mass destruction spoken of in the book of Revelation. 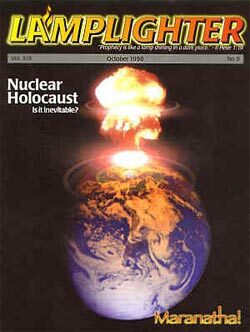 Indeed, considering the widespread death predicted by John, it would be hard for us to imagine anything other than a nuclear holocaust which could come close to producing such carnage. The poisoning of the waters (Revelation 8:11), the severe reduction in visibility (Revelation 8:12), the death of much of the earth’s vegetation (Revelation 8:7), malignant sores (Revelation 16:2), the end of ocean life (Revelation 16:3), and the inability of the atmosphere to block out harmful ultraviolet rays, resulting in severe burns (Revelation 16:8) are all expected results of nuclear war. The implications of these prophecies is not pretty — this earth has an appointment with a devastation which shall be horrible beyond imagination. 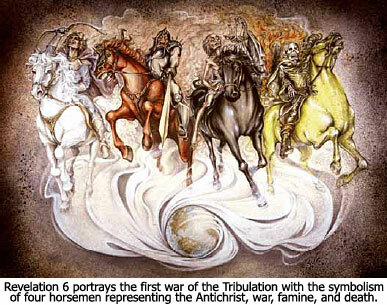 (“By these three plagues a third of mankind was killed — by the fire and the smoke and the brimstone” — Revelation 9:18). (“And unless those days were shortened, no flesh would be saved; but for the elect’s sake those days will be shortened” — Matthew 24:22). Why would God allow such a terrible devastation upon the earth? Is He not the God of love and compassion? The God of all mercy? Certainly the Bible makes plain that God is all of that. Yet we also learn from the Bible that “Our God is a consuming fire,” (Hebrews 12:29) and that He will not leave the guilty unpunished (Exodus 34:7).